I take off all my clothes, turn off the lights, and fumble my way into a cube filled with water—a glorified bathtub—and close the door behind me. The darkness is so complete that I have to blink several times just to confirm that my eyes are, in fact, still open. I lie on my back, buoyed by 1000 pounds of Epsom salts dissolved into the warm water. I am floating. Ensconced in a flotation tank at Brooklyn’s new Lift / Next Level Floats spa, I spend my allotted hour staring at the ceiling (though in the darkness I have no idea how far away it might be), gently floating back and forth between the sides of the tank. There's no sense of time here—I can’t tell if it’s been 10 minutes or 45—and the water feels comfortably warm, like an extension of my body. I let my mind wander, trying to focus on taking deep breaths and doing my best to adjust to the strange sensation of having nothing to focus my eyes on. “This is the darkest thing I’ve ever encountered,” I whisper to the voice recorder I have wedged into the door of the tank. Having heard that some people experience hallucinations in absence of sensory stimulation, I desperately hope my mind will start playing tricks on me. After about 15 minutes—I’m sure it’s been at least half an hour, but my recorder says otherwise—I begin to hear music. Specifically, hip-hop beats. But I'm wearing ear plugs, and there’s no music playing out in the lobby. This music is coming entirely from my mind. As my eyes struggle to adjust to the lack of light, I begin to see sunspot-like patterns, a greenish tinge that dances across my vision. At one point, these spots congeal into what looks like a tintype of a 19th-century soldier in front of my nose. A hallucination! But as time wears on, my new environment becomes less enthralling, allowing me to focus my attention inward. Eventually, as my heart rate calms and my thoughts quiet, I get sleepy, and, safely buoyed by the salts, I even try (in vain) to fall asleep. After decades languishing as a forgotten vestige of early consciousness research, the sensory isolation practice called flotation is making something of a comeback. 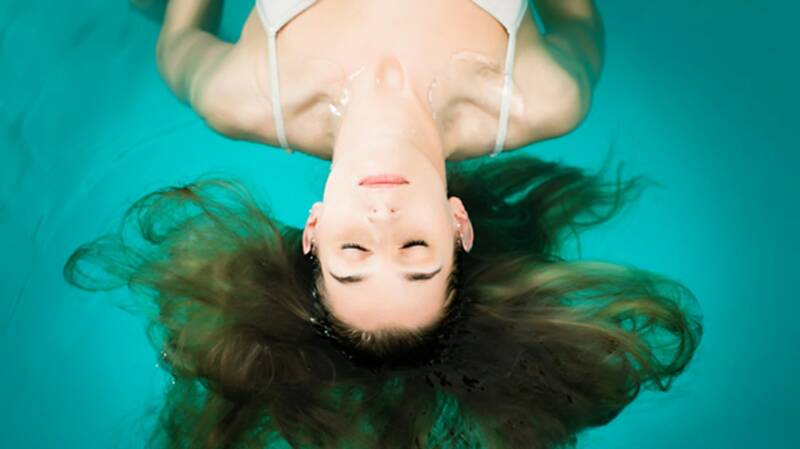 Float Tank Solutions, an industry resource center, surveyed 56 existing flotation centers in its 2014 state of the industry report, and found that 41 of them had opened in the last five years. Almost 185 more float centers are in the planning stages, according to the report. In the first three months that Lift was open this past summer, the owners say they received more than 1600 clients. In a time when the once-countercultural Burning Man Festival has become a mainstream business meetup and meditation is considered a trendy productivity tool, it's not surprising that hacking your brain into relaxation is suddenly in high demand. A combination of poorly designed early studies on sensory deprivation plus the late '80s/early '90s AIDS hysteria and a lack of research funding has kept the practice under the radar basically since its inception—but as people become more and more concerned with the psychological ramifications of an overwhelming digital world, we may finally be ready to explore the real benefits of taking a vacation from the senses. The practice of restricted environmental stimulation technique/therapy (REST) was invented in the middle of the 20th century by John C. Lilly, a neurophysiologist who had a penchant for somewhat radical and often psychedelic methods of studying consciousness and communication. He led the infamous 1965 study where a woman lived with a dolphin for 10 weeks. In 1954, the psychonaut invented a tank in which one could float in warm water (breathing through a helmet), cut off from sights, sounds, and textures, in order to study the effects of this lack of external stimuli on the brain. The 1980 film Altered States was indirectly inspired by Lilly's LSD-fueled studies in those isolation-tank pools. Eventually, what had originally been dubbed sensory deprivation was rebranded as “restricted environmental stimulation therapy” and pursued as a therapeutic treatment for stress, anxiety, pain, and other conditions. It comes in two forms, one involving floating in water (flotation REST), and one lying in a dry room (chamber REST). “We changed the name because you’re not really being deprived of anything. Our input from the outside world is being reduced,” says Roderick Borrie, a psychologist who began working with sensory isolation tanks as a graduate student in the 1970s under pioneering REST researcher Peter Suedfeld at the University of British Columbia. In the mid-'70s, the first modern flotation tanks were created using salt water calibrated to keep people afloat without swimming, so that users could relax on their backs instead of standing in water in an uncomfortable helmet. The water temperature was designed to match the temperature of the air and body to blur the sensational boundaries between being under or above the surface. The International REST Investigators Society was established in the early 1980s, when flotation was becoming a popular recreational activity for relaxation. However, the trend took a nosedive later that decade, when the AIDS crisis prompted people to become paranoid about hopping into public baths of any sort. The renewed contemporary popularity of floating brings up the question: Why do people enjoy being enclosed in a tank where they can hear nothing but themselves and see nothing but darkness? In many other situations, isolation can be traumatizing. UN experts have pushed for solitary confinement to be considered a form of torture. Extreme isolation can cause anxiety and distress—the same conditions floating is supposed to alleviate. One psychological study from the 1950s (one that might not make it past institutional review boards today) shut people in soundproof isolation rooms wearing goggles and hand and arm coverings that obscured their sense of touch; days later, the participants showed significant cognitive impairments and reported experiencing intense hallucinations. Several studies, in fact, have shown that even short periods without sensory stimulation can lead to hallucinations. Your experience in the tank depends, in part, on your expectations. Some of the early experiments on sensory deprivation from the 1950s did report that flotation REST led participants to report “altered states of consciousness, hallucinations, interference with thinking and concentration, sexual and aggressive fantasies, and severe 'stimulus-action hunger,’” as one 1983 overview of flotation research explains [PDF]. But these studies had several flaws that encouraged the participants to be stressed rather than relaxed. Some people were told that they should stay in the tank as long as possible, which the same 1983 paper notes “guarantees that participants will emerge when they are feeling extremely uncomfortable, bored, or frightened.” The helmets that allowed early floaters to breathe through a tube underwater were uncomfortable and unfamiliar. Furthermore, some sensory deprivation studies employed the use of a panic button, a factor later researchers argue may have implicitly primed participants to think that something intolerably awful was going to occur. It also depends on the type of person you are. As researchers noted in a 1986 analysis of the effects of flotation, “while this environment does seem generally to be a relaxing one, the degree of relaxation potential is related to individual subject differences.” A writer for New York magazine recently described her experience floating as feeling “very much like dying.” Many people I mentioned my flotation plans to told me it sounded crazy, especially those with even the slightest hint of claustrophobia. But inside my tank—which was arguably one of the more spacious—I felt totally free. The space seemed to expand once the lights went off and I couldn’t see its boundaries anymore, and I knew I could open the door and leave at any time. Dying in a flotation tank is quite rare (though it has happened at least once, to a woman who was taking sedatives as well as some other prescription drugs), and it's recommended for most healthy people, with the exception of women in some stages of pregnancy and people with certain medical conditions like epilepsy. Furthermore, hallucinations are easier to generate than you might think, making those early studies about the hallucinatory effects of flotation seem less salient. In a recent study, 20 participants made eye contact with each other for 10 minutes straight. A full 90 percent of people saw some kind of hallucinations in their partner’s face. In a comfortable environment, though, those visual and aural tricks don't seem so scary. Those in extreme, forced isolation aren’t prepared to see lights that don’t exist or hear music that isn’t playing. In the context of a short-term, self-imposed spa experience where you know you can take out your earplugs and turn the lights back on, the effect is obviously a little more relaxed. While it was eerie to realize that the bass beats I was hearing weren’t coming from anywhere but my own head, it was also kind of exciting—look at what the brain can do! And even though it may have felt like I was just sitting there thinking, important changes were happening inside my mind and body on a physiological level. The state of relaxation achieved in REST is on the level attained by an experienced meditator or yogi, without all those years of training. People who need to relax the most—you know, those high-stress type A folks whose to-do lists are a mile long—are also the ones who have the most trouble getting their minds and bodies to relax, according to Torsten Norlander, a psychology professor at the Karolinska Institute in Sweden who has studied the effects of flotation REST. Floating can act as a kind of relaxation shortcut. The side effects include reduced tension, a reduction in the stress hormone cortisol, and an increase in prolactin (a hormone vital to breast milk production that also has been linked to sleep). After several flotation sessions, patients report better sleep, more optimism, and decreased anxiety, depression, and pain. Some studies have reported it can aid people who are trying to quit smoking or lose weight. “Even a person with a difficult stress [problem] can eventually, in these conditions, [experience the body’s] relaxation response,” Nolander tells mental_floss. The atmosphere of the tank's setting can help "block the stress response,” says Nolander, and reverse some of the physical processes associated with the “fight or flight response,” the body’s reaction to stress. While higher cortisol levels and blood pressure might be helpful if a predator was staring you down, these physical reactions to the dangers of the 21st century (24/7 emails from the boss, traffic jams) take a toll on the body, especially over time. Chronic stress has been linked to obesity, heart disease, and other afflictions. “If someone’s in chronic pain and floats three times a week, they can cut out most of their medication,” Borrie posits. What he describes is the kind of outcome a doctor (and insurance companies) should love. So why isn’t floating more mainstream? For one thing, Norlander argues, the pharmaceutical companies who bankroll most medical research have little incentive to fund therapy that can't really be monetized, the way a pill can. Plus, many doctors aren’t very aware of the research, he says. There’s also a lack of large, well-controlled studies to definitively show that flotation REST can create positive results for conditions like chronic pain. While almost uniformly positive, the research that has been done so far has consisted of smaller studies with just a few dozen volunteers. These are not the randomized controlled trials that are the gold standard of human research, and without those kind of results, researchers have a hard time drawing funding for what can initially seem more like magical thinking than medical science. Besides, not all researchers agree that there’s anything uniquely effective about flotation REST. “As far as I can tell, there is a study or two every few years contributing to a small but steady flow of evidence that it is relaxing and stress reducing,” Oliver Mason, a senior lecturer in psychology at University College London, writes in an email. Mason has previously studied psychotic-like experiences resulting from sensory deprivation. “It’s probably a mixture of expectancy effects, warmth, etc. I am not saying it is quackery,” he cautions, “but if people were asked to lie prone in a quiet warm room on a soft surface with gentle music and suggestions given to them that it was relaxing … they would of course relax!” The benefits people experience from floating could, in fact, be the result of some other factor, but it's difficult to tell without carefully controlled experiments. And as is the case with many alternative medical treatments, the benefits of floating that tank owners and practitioners tout can often be exaggerated versions of the scientific evidence, as a 2014 review of advertising claims on flotation center websites found. Without larger studies to draw from, it’s hard to say for sure what floating can do, and the treatment is definitely more expensive than lying in a dark room. An hour in a tank can cost anywhere from a little more than $40 to $90, depending on where you live. But compared to the costs, both financial and otherwise, of years of chronic pain and the addictive medications used to treat it, that might be considered fairly cheap if it indeed works as well as Borrie and other flotation researchers claim. Even if the science is relatively nascent, I’ll be hauling my clinically anxious self back to the flotation tanks soon enough. By the end of an hour away from light, sound, and the perception of gravitational pull, I can no longer touch my hands together above my head—I can’t really tell where my hands are, in fact. It’s like a little meditation high. The lights kick back on, and I emerge from this artificial womb rubbery, a little dazed, and relaxed to the point that my words no longer coalesce into coherent sentences. I sit on a couch in the Lift lobby, sipping tea and trying to write down thoughts about my experience, but it feels like I’ve just woken up from a nap. I groggily hail a cab to take me home, unable to muster the energy to take the train. It’s only 8 p.m. and my hair is full of salt water, but I tumble into bed immediately and fall into a deep sleep.